Learn everything there is to know about DotActiv software before making your purchase. Software Mastery Level 6: Analyse and interpret your retail data both pre- and post planogram. We've bundled the free trial of DotActiv Academy with a free trial of DotActiv Lite, Pro or Enterprise so that you can get a better overall learning experience from us. 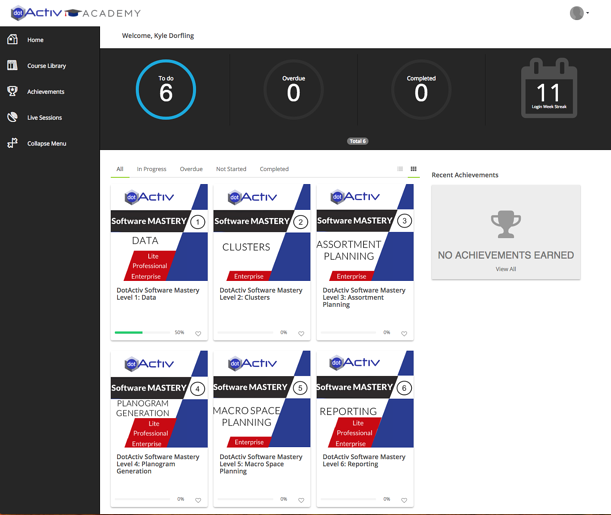 To get temporary free access to DotActiv Academy you will need to sign up to our free trial of DotActiv Lite, Pro or Enterprise. When you do this you will get access to the following for 14 days: DotActiv Software Mastery Levels 1 to 6, DotActiv Software and 24 Hour Support.